The 1 Voice Audio Boom Earphones are a treat for your ears. The high definition, noise-isolating earphones incorporate a dynamic audio system with powerful drivers to provide you with a remarkable listening experience. The aluminum alloy housing prevents vibrations and unwelcome sound from tainting your listening experience. The nylon cable with silicon coating eliminates tangling and is long enough to comfortably keep your phone in your pocket while listening to your favorite tunes. 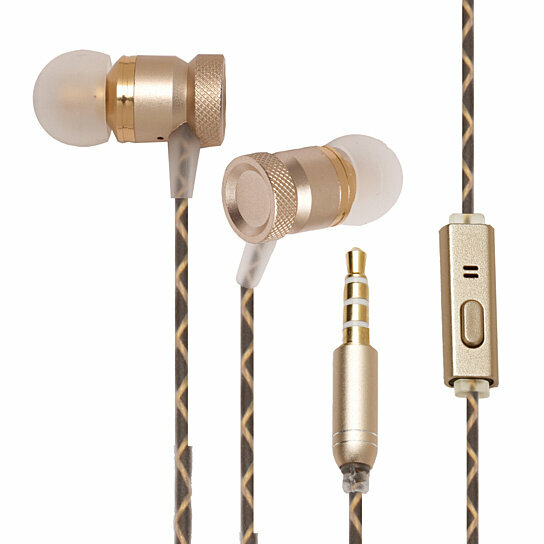 Each set of earphones comes with 3 different sizes of earbud sleeves for comfort and to maximize noise isolation.